THE BETTER TOY STORE IS AMERICAN EXPRESS' 2016 MEMBERS' FAVOURITE! Everybody likes being a favourite – and so do we! 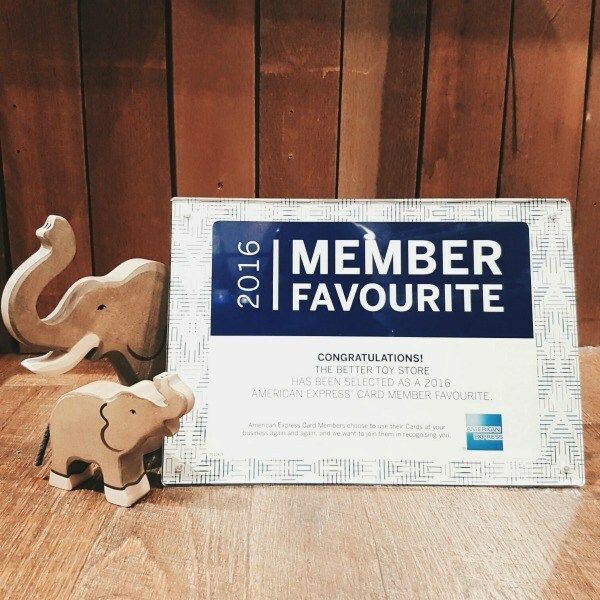 The Better Toy Store is proud to be selected as American Express’ 2016 Member Favourite – this means that we have been selected by you as a favourite place to shop – again and again! Thank you for making us your Better store – we look forward to seeing you around!